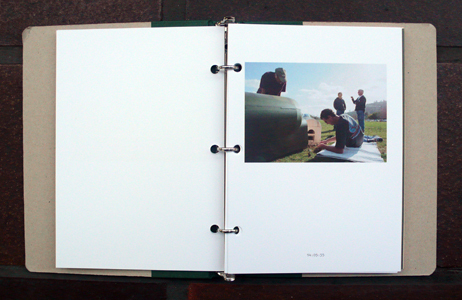 This publication documents two shows by Richard Jackson from early 2012. 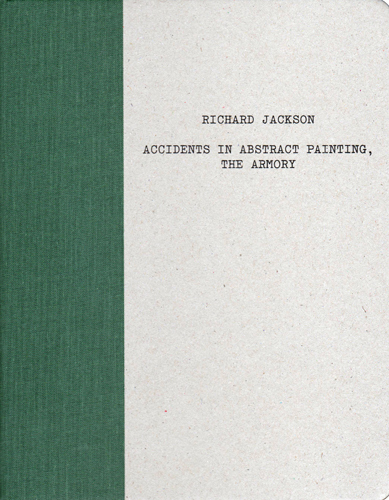 The two-part program by Richard Jackson consisted first of a public spectacle entitled Accidents in Abstract Painting followed by a subsequent exhibition entitled Accidents in Abstract Painting, the Armory. 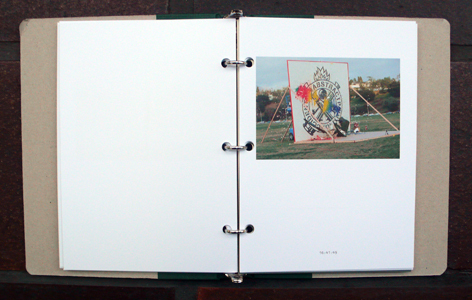 The subsequent solo exhibition, entitled Accidents in Abstract Painting, the Armory, was on view at the Armory Center for the Arts in Pasadena, CA from February 12 – June 10, 2012 and featured detritus and video documentation of the event, along with other work. 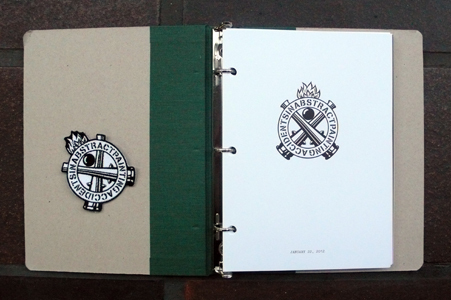 The book comes with a patch bearting the "Accidents in Abstract Painting" logo.